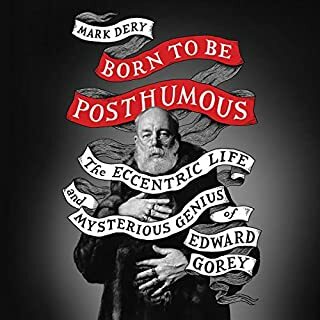 The definitive biography of Edward Gorey, the eccentric master of macabre nonsense. From The Gashlycrumb Tinies to The Doubtful Guest, Edward Gorey's wickedly funny and deliciously sinister little books have influenced our culture in innumerable ways, from the works of Tim Burton and Neil Gaiman to Lemony Snicket. Some even call him the Grandfather of Goth. An eccentric, a gregarious recluse, an enigmatic auteur of whimsically morbid masterpieces, yes - but who was the real Edward Gorey behind the Oscar Wildean pose? Charles Dickens and Nelly Ternan met in 1857; she was 18, a hard-working actress performing in his production of The Frozen Deep, and he was 45, the most lionized writer in England. Out of their meeting came a love affair that lasted 13 years and destroyed Dickens's marriage while effacing Nelly Ternan from the public record. 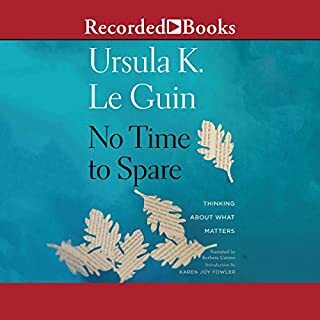 In this remarkable work of biography and scholarly reconstruction, the acclaimed biographer of Mary Wollstonecraft, Thomas Hardy, Samuel Pepys, and Jane Austen rescues Nelly from the shadows of history, not only returning the neglected actress to her rightful place, but also providing a compelling portrait of the great Victorian novelist himself. 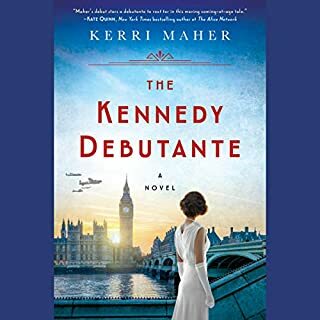 The result is a thrilling literary detective story and a deeply compassionate work that encompasses all those women who were exiled from the warm, well-lighted parlors of Victorian England. This is a story of Charles Dickens and his mistress Nelly Ternan. He was 45 and she 18 when they met in 1857. I almost got more interested in Claire Tomalin detective search for information about Nelly Ternan. Apparently both Ternan and Dickens destroyed most of the written material about themselves and lived in a discreet way. The divorce of the Dickens was shocking to Victorian England, so they kept a low profile. I found it interesting to note that a life in the theater (acting) was an unfavorable occupation and more so for women at the time, they were social outcasts and were thought of as whores. Things sure changed in the 20th and 21 century we put actors at the top of our society. 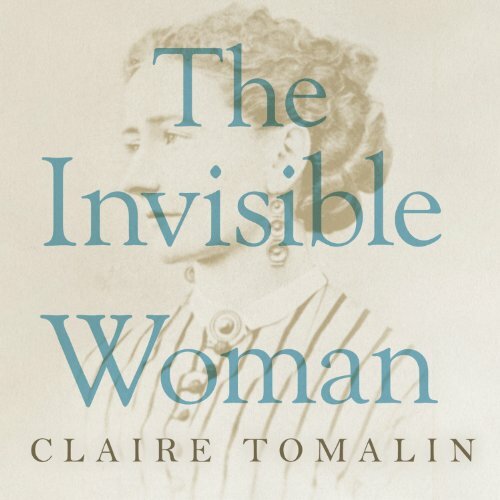 Claire Tomalin did a great job trying to provide an accurate biography of the two but I am sure she had to do some speculation and deduction also. Wanda McCaddon did a good job of narrating the story. Tomalin's discussion of Dickens and his contemporaries was interesting as I had recently added to my wish list a book by Anthony Trollope, apparently he and Dickens were friends. Tomalin did a good job of bringing to life the era of the 1850s. If you enjoy literature and history you will enjoy this book. The tale of a "purchased" woman. 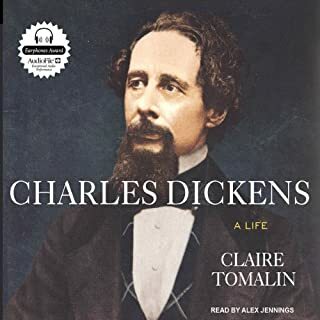 I liked this book, but because so much of the papers of Dickens and Ms. Ternan were destroyed by family members, it's conclusions are supposition and circumstantial. That said, I personally believe they did have a relationship and probably a one sided one. I think because of Mr. Dickens' literary genius he was able to "purchase" this woman as a companion and mistress. What woman of little means with a family to support could turn down such an offer? I admit it's just my gut instinct, but I think it is valid. The saddest part of this story is when Nellie's son discovers the facts of the relationship and he destroys all the papers and refuses to talk about his mother with anyone. Anytime someone puts someone on a pedestal and they come crashing down, this type of thing happens. I haven't seen the movie version of this book yet but I expect to in the near future. It is well researched with the amount of materials available today and I can recommend it on that basis. The narrator does an adequate job. I have to begin by saying that I am not a Dickens fan, and as I read this book, I began to like him even less. Tomalin focuses on Dickens's relationship with the Ternan family, in particular his presumed affair with the youngest daughter, Ellen, best known as Nelly. She was only 18 at the time their affair began, Dickens 45. The Ternans were an acting family, and Dickens used his prestige first to persuade Mrs. Ternan and the girls to perform in his play 'The Frozen Deep,' then to secure various roles for her with his theatrical friends. Before long, he abandoned his wife (the mother of his 10 children), spreading rumors about her mental health and the ingratitude of her family members for all his assistance. (Wikipedia notes, "Matters came to a head in 1858 when Catherine Dickens opened a packet delivered by a London jeweller which contained a gold bracelet meant for Ternan with a note written by her husband.") 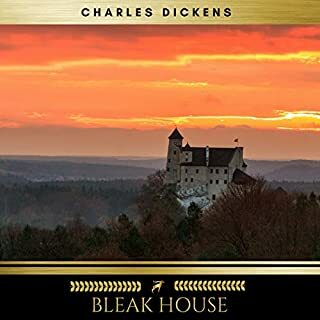 Dickens began to lead a double life, leasing and purchasing a series of homes for Nelly, her sisters and her widowed mother--homes deliberately located further and further from the public eye. After all, the man whose works were supposed to be the moral compass of England couldn't be caught with a mistress! His financial and personal arrangements were handled through coded letters to friends who acted as go-betweens, including Wilkie Collins. Nelly was kept such a deep, dark secret that her identity was even hidden when she suffered a serious injury in a train derailment while traveling with Dickens. Tomalin posits that she had at least one, and perhaps two, pregnancies by Dickens but lost both babies shortly after birth. Later in life, long after Dickens's death, Nelly supposedly confessed the affair to her pastor, saying that she greatly regretted it and loathed Dickens in those last years but could not, financially, break away. The last section of the book addresses Nelly's life post-Dickens and the history of both the coverup and revelation of the affair. I felt sorry for both Catherine, Dickens's long-suffering wife, and for Nelly, a young woman pressured by poverty and impressed by celebrity. As for Dickens, what a pompous, self-righteous hypocrite! Maybe we shouldn't mix philosophy with biography, but I almost always do; and this is the perfect book for it. No one is straight forward in this book, and that makes me think that the author has probably captured it right. I admire the way these women lived their lives, they were living against convention, and they made it work. When I think that this history almost never was, I also think of all the other histories of women (and men) who schemed and fought and overcame and then disappeared. I am glad we captured this one, I thought it was uplifting. I enjoyed reading about this family along with the history of Dickens as presented. 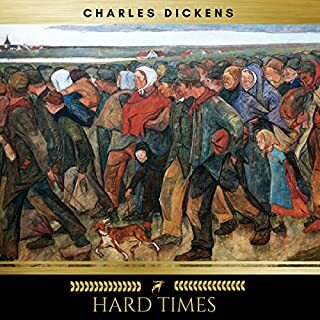 I recommend for Dickens fans and Anglophiles. The book went on forever with suppositions and theories. Very little supporting documentation. The subject and suppositions could have been covered in 1/3 of the time.